William Pollock was doing all the right things to set up his family's move from Texas to Pennsylvania. He contacted reputable movers and he had them come out to his house and provide written estimates. But the estimates Pollock received were higher than he wanted to pay so he kept looking. On Craigslist, he saw an ad that pointed him to a professional-lookingweb site depicting a locally-based mover, Moo-ving.com, who could do it all for less. He went with them. "It's easy now to look back and say this was a red flag and this was a red flag," Pollock says. When he arranged the move, Pollock negotiated a discounted price -- about $5,000 to move the contents of a three-bedroom duplex -- by offering to pay cash upfront. Yet another big mistake. Once his family's worldly possessions had been loaded onto the moving truck, the demands started. Pollock says the company demanded more money in exchange for delivering his belongings. They also told him that everything would not fit into one truck and that he either had to agree to pay for his goods to be repacked or leave things behind. After Pollock refused to pay up and told them to leave the things behind, he was told that his things had been placed in storage at an undisclosed location. Pollock had already driven to Pennsylvania for the arrival of his things, and was then flying back to Dallas to try and rescue them. He said he felt backed into a corner because his belongings were being "held hostage." 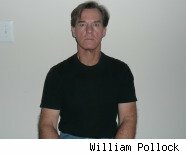 The company disputes Pollock's account. Edwin Bedford, who says he is a manager at Major League Moving -- a holding company that runs Moo-ving.com, D Moving and other firms -- blames Pollock for improperly packing his goods, necessitating extra charges. "We went out to do one thing that totally changed into something else," Bedford says. "It wasn't any of his business where they (Pollock's things) were being held at that point. Nothing was being held hostage." Pollock is one of thousands of people each year whose moves go painfully awry. And, in many of these cases, consumers are left negotiating for belongings that are being held hostage by the moving company. Here's how it typically happens: A consumer comes across a web site that either purports to help people find the least expensive mover or offers moving quotes via email. Typically, the rogue movers don't spend the time writing up an estimate based on a detailed examination of the goods that need to be moved (this is an industry standard and if a mover doesn't do this, that's a red flag). Yet, even without this inspection, they are able to offer a quote that is far lower than other outfits provide. In Pollock's case, there was no detailed examination of household belongings, just a walk-through that supposedly validated the load size would be OK, he says. On moving day there was no bill of lading documenting the contents and the large truck with the company logo depicted on the company web site didn't show up. Instead, two rental trucks arrived. Bedford says Pollock asked for two smaller trucks due to traffic and other neighborhood concerns and said that all the goods would have fit if the boxes were properly filled. Once the consumer is signed up, the next phase begins. The mover then begins to ask for more money because they need extra shrink wrap or they have to repack boxes. After the goods are loaded onto the truck, the demands escalate. If the consumer doesn't pay up, his belongings are held hostage. "These guys are posing on the internet as substantial companies, which often they're not, with a long history they often don't have," says American Moving and Storage Association CEO Linda Bauer Darr. "They're established specifically to offer a service at lower than market cost which, in reality, winds up being a big scam and -- the worst case scenario -- a life altering situation for a consumer. You've entrusted all your personal belongings and then it gets driven away." Most consumers don't know where to turn for help. About 3,000 people a year file complaints with the Federal Motor Carrier Safety Administration (FMSCA) and thousands more turn to state and local agencies, the moving industry and the Better Business Bureau. The problem is there aren't enough resources devoted to helping consumers. FMSCA is primarily a safety agency; only 14 of its 1,100 employees nationwide work on complaints about movers, according to the Government Accountability Office (GAO). The GAO recently issued a report calling for a greater investment of resources to help consumers deal with problem movers. Federal oversight was greatly curtailed 15 years ago when the Interstate Commerce Commission disbanded. Since then, rogue operators have figured out that consumers have little recourse if their items are moved across state lines. States (in the state you move from and the state where the belongings are being held hostage) can do little because their jurisdiction ends at their borders and there's only a slight chance that the federal authorities will get involved. The FMSCA did not respond to a request to comment on the GAO report. With the exception of a large scale FBI operation several years ago that rounded up the operators of several rogue operations in South Florida, there have very few high-profile crackdowns. The moving industry, fearing good movers are being lumped in with phony ones, started a public education campaign and now a certification program to help consumers sort it all out. Pollock found help with MoveRescue, a program operated by Unigroup, which owns United Van Lines and Mayflower Transit. MoveRescue has taken on 1,400 consumers' cases since it started in 2003, says Joe Garr, senior staff attorney for Unigroup. Most of the cases are hostage situations, he says. MoveRescue uses law clerks to field calls and advise consumers on their options. Often it will make phone calls or write letters on a consumer's behalf. Sometimes, the program will even provide a lawyer at no cost. or it will have one of its trucks pick up the kidnapped goods, sometimes at little to no cost to the victim. "We really want to educate people so they don't have to work on the back end," said Carl Walter, a Unigroup vice president. The moving association created the ProMover program to help on the front end -- providing tips for consumers and a list of movers consumers can feel safe with. MoveRescue found Pollock an attorney who helped free his belongings. Yet, even though Pollock had an advantage many do not -- his goods remained in the same state that the move originated and where the mover was located -- he still had quite a fight ahead of him. He won a court order to be informed where his property was being held. Yet, he still had to pay storage fees that supposedly had been paid with the money he had initially paid. He then contracted with United and spent another $7,000 to have his belongings shipped to Pennsylvania, where they finally arrived in December. Bedford, who clashed in court with Pollock, said he got a raw deal from the judge who wouldn't let him have his say. He maintains he was only operating under the terms of the contract -- and the direction of his customer -- when he locked up the goods at an Allen, Texas, storage facility. "There's companies that are bad and there are consumers that are bad," Bedford said. "We're just trying to find that balance and make a living. You're not going to make everyone happy." You can get more tips on hiring on a mover in the Consumer Ally Guide for Consumers.